This is a shot in the dark, but last September Diane Boumenot posted her top ten genealogy research problems HERE and she has already solved two of them. Readers and Google searchers found her post and sent her enough information or clues to break down those genealogical brickwalls. So… here is my list. I’m hoping for a reader or distant cousin to read this and help me to solve a few genealogy mysteries, too! Diane listed the skills and strategies she thought she might need to solve her research problems. This is a good idea, and working through this list has got me thinking of new ways to attack these mysteries. 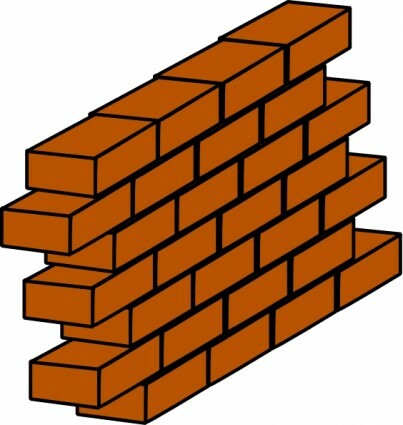 Maybe I’ll solve them at least one brickwall before I get a mysterious “cousin connection” email or comment? 1. Elizabeth Lambert (about 1775 – 1834) is my 5x great grandmother. She married Owen Jones, a native of Wales and son of a British customs officer, on 11 May 1793 at the Second Baptist Church in Boston, Massachusetts. They lived in the North End, and had six daughters who were described as debutantes and all married very well. I’m hoping she is from a well-connected, wealthy family in Boston who left lots of good records. Unfortunately, there were many Lambert/Lombard/Lumbard/Lamport families in Boston at this time, and I have searched them all for Elizabeth. A consultation with a professional genealogist at a conference leads me to believe I should search probate and deeds for Elizabeth among the many Lambert families. One clue- Elizabeth had a sister, Sarah, who married John Dark/Dargue on 1 December 1793 in Boston. Elizabeth (Lambert) Jones named her first daughter Sarah Dargue Jones in her honor. The sister Sarah (Lambert) Dargue died on 3 September 1796, no parents listed. Problem- I’ve never really done probate or deed research, so this will be my first test case with these types of records. Searching for Jones records in the courthouse won’t be fun, neither will it be fun searching through all those Lambert/Lombard/Lumbard/Lamport etc. variations. Elizabeth Lambert was born at about the time of the Boston siege during the American Revolution (many residents fled the city), so she may have been born somewhere else in Massachusetts or New England. 2. Margaret Welch (about 1796 – 1860) is my 4x great grandmother. Her death record in Chichester, New Hampshire does not name her parents. She married Richard Locke on 21 October 1823 in Chichester. Her children’s marriage and death records say she was born in Kittery, Maine. Census records say she was born in Maine. Problem - I cannot find a Welch/Welsh family at all that might be her possible parents or ancestors. This is the opposite of the Elizabeth Lambert above where I have too many possibilities. Perhaps searching York County, Maine probate and deeds would work, like my brickwall #1? 3. Nancy Thompson (about 1804 – after 1847) is my 4x great grandmother. She married Jonathan Batchelder on 11 February 1822 in Belmont, New Hampshire. Her children’s marriage and death records say that she was born in Gilmanton, New Hampshire. There were several Thompson families in Gilmanton and Belmont (contiguous towns) but no record of Nancy/Ann/Hannah. Jonathan Batchelder died in the Concord State Hospital after being declared insane. I have his account book, and inside it I found guardianship papers dated 1847 making “Nancy Batchelder” the guardian of her minor daughter, Pauline. No further trace of Nancy can be found in the New Hampshire vital records or census records. Problem – Did Nancy remarry? Pauline’s death record name’s her mother as “Nancy Tompson”. Is that a clue? The Gilmanton Historical Society is stumped. I’ve searched all the Thompson/Tompson genealogies and vital records. 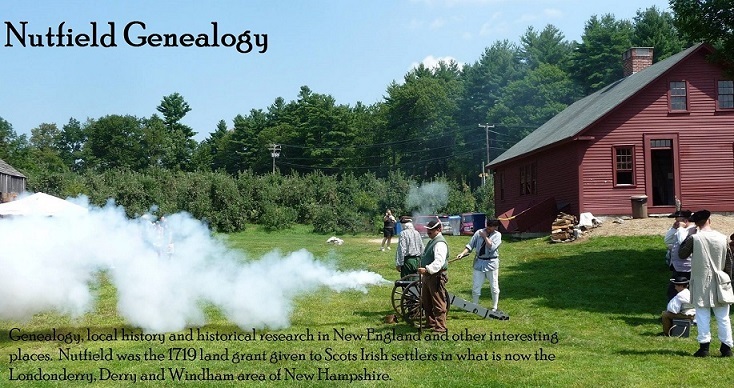 Perhaps I’ll need another probate and deeds research trip to Belknap County, New Hampshire? 4. Hannah Phelps (1728 – 1805) is my 5x great grandmother. She married George Flint on 13 November 1753 in Andover, Massachusetts. I’m not even sure of her surname, it was given as “Phelps” in a compiled Flint genealogy. This is a real stumper. I’ve very little information on George Flint, too, except what was found in the Flint book. 5. David Lyons (about 1759 – 1812) is my 5x great grandfather. He was from Connecticut and removed to Cornwallis, Nova Scotia where he appears in many land records. He was married in Cornwallis on 25 May 1779 to Elizabeth Ratchford. I have no idea where he came from in Connecticut, and few clues. I don’t know if he was a planter or a Loyalist. Another real stumper. 6. James Radsford/Ratchford b. about 1719 is my 7x great grandfather. He married Margaret Ball on 26 December 1738 in East Bridgewater, Massachusetts. They had five sons and all their births are recorded in the Bridgewater vital records. This surname seems to have a lot of variations, and perhaps it was a corruption of some other name altogether? There are no Radsfords or Ratchfords in earlier Massachusetts records. No death record has been found. 7. Margaret Ball (see above) I have no birth or death record on Margaret, just a marriage and her name listed on her children’s births as “Margaret”. 8. Amelia Unknown (born about 1790 – 1860) is my 4x great grandmother. Her death record lists her birthplace as Stoughton, Massachusetts but no birth record has ever been found. She died as a pauper in Wayland, Massachusetts the same year as her husband, who was also listed as a pauper. Amelia had a colorful life with at least three husbands as listed below…. #1 Amelia gave birth to twins in Salem on 26 June 1825 as Amelia Lewis, no husband listed. Her son’s death records list their father as “Captain Thomas Lewis” but I haven’t found a marriage record. Her twins were possibly born after he died. Did he die at sea? No record has been found for him in Massachusetts. #3 Amelia remarried third to John Adams in 1843 in Topsfield, Massachusetts. Her death record lists her parents as “unknown”. Both sons died very young before 1853, and their records do not give her maiden name. She married often, so perhaps there is even another earlier marriage I am missing here? 9. James Phillips (about 1792 – 1820) is my 4 great grandfather. He married Sarah Cree on 6 August 1815 in Topsfield, Massachusetts. His death record in Topsfield says he was a “native of Rowley” but I cannot find him in the Rowley records. There is a James Phillips enumerated in the 1820 Census in Andover, Massachusetts, which may or may not be this James. Again, Phillips is a common surname in Essex County, Massachusetts, which makes this as difficult as the Jones brickwall #1. 10. Mary Hovey (about 1751- 1832) is my 5x great grandmother. She married Nathaniel Treadwell on 1786 in Ipswich, Massachusetts. I have no clue as to her birthdate, birthplace, parents or ancestry. Mary is listed on my lineage papers to the Mayflower Society, showing my descent from Mayflower passenger Isaac Allerton. No one at the Mayflower Society can find her parents either! There is plenty of information on her husband, who served in the American Revolution and was from a noted Ipswich, Massachusetts family. I’d love to beat the professionals who have attempted to identify Mary Hovey, but so far I’ve been unsuccessful, too. Good luck Heather. You put in quite a bit of information, so perhaps you'll get a connection. I checked several of your names in my data base, but there wasn't anything close, darn. Thanks for the mention. Oh those 1700s ancestors - sometimes they're the best hidden ones. I tend to use Soundex code to figure out more weird variations and found two people that way. Thanks for posting such great details about not only your 10, but others' links as well. You've inspired me - I will be starting January off with my challenges too. Hope you find a wonderful hole in those brick walls, Diane. One of my 4th great grandmothers was Lucy Hovey and Ipswich is ringing a bell. Let me check tonight. Wow, even your brick walls are sophisticated and layered with genealogical information. I don't know any of these names (I'm from the South), but I'll be looking forward to finding out whether your tactics are working. Hope you get many responses. Great idea! Good luck on this. Keep us up to date on your success. Your Number 3 named Nancy. I was doing some research on the surname HANKS and one of the things I found was so many women were named Nancy that they were given nicknames. Strange Nicknames. Not all nicknames are obvious. For example, Polly, Patsy, Peggy, and Nancy are actually nicknames for Mary, Martha, Margaret, and Ann, respectively. Many other nicknames seem peculiar to us because the underlying names are virtually extinct. When was the last time you met a woman named Biddy (Obedience), Delphy (Philadelphia) or Senia (Asenath)? Or a man named Quillar (Aquilla), Lum (Columbus), Sell (Sylvanus) or Shade (Shadrach)? Finally, some of our most common nicknames were virtually unknown in previous eras. Cynthia was often shortened to "Sintha" but rarely to "Cindy." If you see "Sinda," think "Lucinda" or "Rosinda." You might consider it was a nickname.